Have you been trying all the weight loss exercises and diets with little or no success? Is your BMI or body mass index40 or more (in cases of extreme obesity)? Is your BMI 35-40 (obesity) with serious health problems including type 2 diabetes, high blood pressure and/or cholesterol and obstructive sleep apnea? If your answer is yes, then probably you need some kinds of surgical interventions to control your weight gain. Restrictive surgeries such as gastric sleeve surgery canmake your stomach smaller and help you in reducing weight. A large portion (about 80%) of the stomach is removed, leaving behind a banana-shaped sleeve, connecting the oesophagus to your small intestine. A smaller stomach means less intake of food and hence one feels full from significantly small portions of food. By reducing the stomach size, the amount of hunger hormone (ghrelin) secreted decreases significantly, thereby suppressing the appetite. Since, a part of your stomach will be removed, the process is not reversible. Bariatric surgery aids in weight loss through surgical changes to the stomach and digestive system in order to restrict the food intake, and decrease the absorption of nutrients from food. 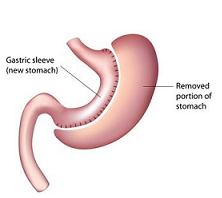 The common bariatric surgical procedures include gastric bypass, adjustable gastric banding, sleeve gastrectomy, gastric balloon, biliopancreatic diversion along with duodenal switch, and stomach stapling. 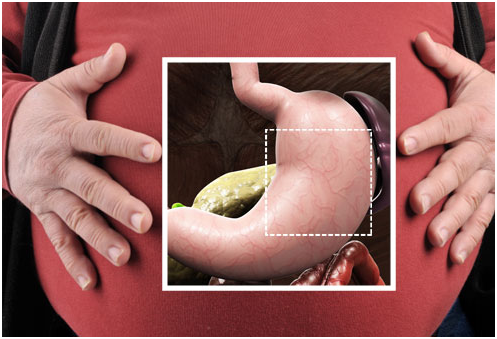 Adjustable gastric banding, sleeve gastrectomy, stomach stapling and gastric balloon are restrictive surgical procedures done to shrink the stomach size while others are combination of restrictive and malabsorptive techniques. Malabsorptive surgeries remove, bypass and/or rearrange part your digestive system to limit the absorption of calories and nutrients by the body. But the malabsorptive surgeries are more effective in weight loss as compared to the restrictive ones, they increase the risk of nutritional deficiencies. Most bariatric surgeries carry at least a small aspect of both the components. Bariatric surgery may often result in hormonal changes. Most of the current weight loss procedures are performed using minimally invasive surgical techniques (laparoscopic/keyhole surgery).Bariatric surgery is interrupts or alters the normal digestion process. The food that we eatdoes not break down and get absorbed in the natural way. This malabsorption of nutrients and calories enables the patients to lose weight and lowers their risk ofcontracting obesity-related health issues. It is very important to remember that surgery is only a tool for weight loss. Weight loss surgery is only a part of a multi-disciplinary approach for obesity management. Many patients may be referred to metabolic physicians. It is very important to follow dietary schedule provided by the dietician. With a smaller stomach, it becomes essential to eat nutrient dense foods. It is likely that post-surgery, your lifestyle, body structure and also food behaviour may change and you may need a psychologist to help you deal with these changes. Each of these surgeries comes with advantages and disadvantages. The type of procedure best suited for a patient depends on various factors including eating habits, BMI, obesity related health issues, and also the number of stomach surgeries done previously. The patient and the doctor should discuss and opt for the most suitable type of surgery by considering all the pros and cons, benefits and risks associated with each. For a good recovery and to prevent complications and avoid weight gain after surgery, patients need to strictly adhere to the doctor’s advice. A rigorous and probably lifelong diet regimen and exercise plan is important to achieve the best results. Follow-up visits and proper incision care are required. Like with other surgeries, bariatric surgery is also associated with risks including deep vein thrombosis, internal bleeding, and infections, among other complications. Patients may also experience short-term side effects such as nausea, diarrhoea, constipation, body ache and dumping syndrome (rapid emptying of stomach after a meal). After the weight-loss surgery, the patients are generally not allowed to eat solids for first few days to allow stomach and digestive system to heal. The diet starts with fluids and liquids, followed bypureed or soft foods, and graduallythe patients can start eating regular solid foods. The patients may be instructed to take nutritional supplements to make up for the lost nutrients during the surgery.